Garland Stone is a Welsh based feature film and TV production company. It was founded by its Producer, Dewi Griffiths, who has thirty years experience of high quality world wide feature film and television drama production. Garland Stone's mission statement is to produce Cutting Edge Horror Films with an Ancient Heritage. Our projects are all contemporary horror stories based on mythologies native to The British Isles, Europe, The Middle East and the Americas. 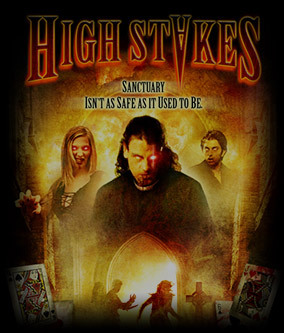 Garland Stone's productions to date include the feature film High Stakes, and the short Film, Crossing the Dead Sea. Garland Stone are currently funding Black Valley, to be shot in Wales, and is majority financed and has secured distribution in the UK and sales worldwide. Garland Stone has relationships with award winning talent, facilities houses, and Distribution/Sales Agents. We are actively seeking co-production partners to move our other projects into production. Garland Stone projects are copyright protected worldwide, and all rights are reserved.